Leading Edge Landscapes has been providing landscape construction and maintenance services since December 1998. 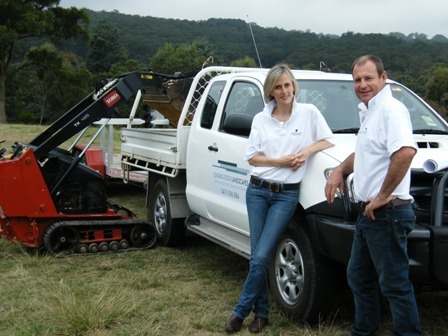 Prior to establishing the business Sam worked with Hosking Landscapes and Good Manors Landscapes in Sydney. Sam has over 15 years experience providing high quality soft and hard landscaping services for multi-housing, commercial and residential projects. Confidence with all forms of landscape construction, familiarity with a wide variety of materials and a complete understanding of plant, lawn and paving requirements, ensures a successful installation of the landscape design. Leading Edge Landscapes listens carefully to their clients needs to ensure we have ascertained their exact requirements. Our reputation for providing high quality services has been maintained through our constant drive for customer satisfaction. Leading Edge has worked with construction companies, landscape architects and private clients on a range of sites including multi-housing, commercial property, large town gardens and country estates. Leading Edge employs talented people with recognised qualifications, and as a company prides itself in its ability to offer professional workmanship and service. Leading Edge has worked closely with all of its subcontractors and they possess the same professional attitude that Leading Edge and our clients expect. We are a fully resourced landscape contracting company with a good inventory of equipment, resources, plant hire company access and quality subcontractors. Incorporating intrinsic safety features for the protection of our clients, the general public and LEL personnel. Ensure our staff implement appropriate risk control measures to protect the health and welfare of all parties. Leading Edge Landscapes will provide all the resources necessary to maintain this policy, to minimise health and safety risks, and to rehabilitate our people if health and safety is compromised.